The Stand by Me Emmanuel Care Centre in Colombia seeks to change the lives of children and families living in poverty in Guacamayal. The community face many issues, one of which is drug use which affects children and adults alike, destroying hopes and putting lives at risk. It is essential to equip the children and young people with the knowledge and ability to make informed and responsible decisions in regards to their health and social life. 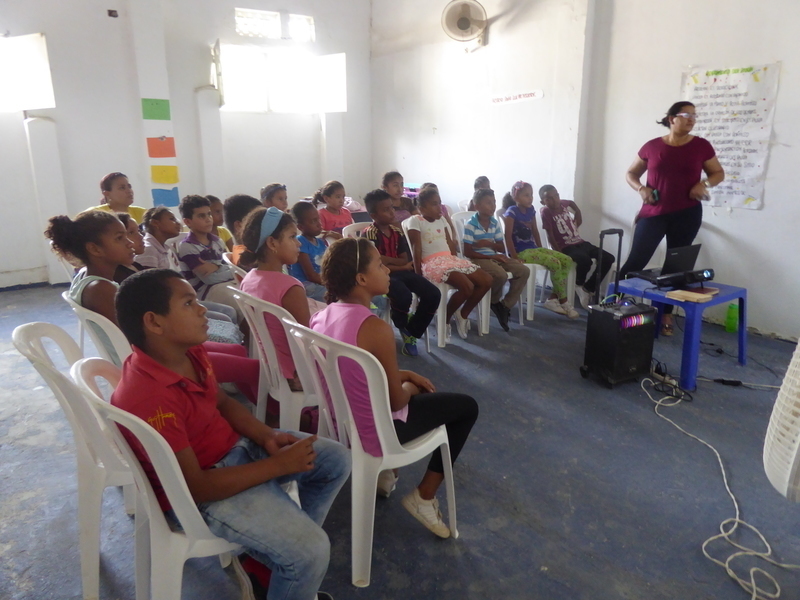 Therefore, to educate our children on the harmful consequences of drug use the care centre held workshops for the children involving videos, discussions and worksheets to help them understand the physical, psychological and social consequences of the use of different drugs. We also realise that as well as informing children, we need to ensure their parents and wider families have the knowledge to support their children to make good decisions and to create a healthy, safe and loving environment. Unfortunately many parents are ignorant of the harmful effects of drug use and there is a lack of understanding in some families of how an unstable family environment can increase the likelihood of children and young people to take a interest in drugs. To address this, the care centre ran a workshop for children’s family members to increase their awareness and knowledge on the effects of drugs and provide training on how to talk to their children about drugs and how to access support if they are worried that their child is at risk. Now that our children and their families are informed about drugs they are more likely to make good choices and resist peer pressure. With us standing by them, the knowledge of their self-worth and a great education, they have bright futures ahead of them. Thanks to HardSoft Computers, we received a generous donation of iPads to help us provide our children with a great education. The children at the Bethany School were delighted to play with the iPads for the very first time. We want to say the biggest thank you for making 2017 a fantastic year for our 3,500 kids around the world. We couldn't do it without you. Merry Christmas and a happy New Year!